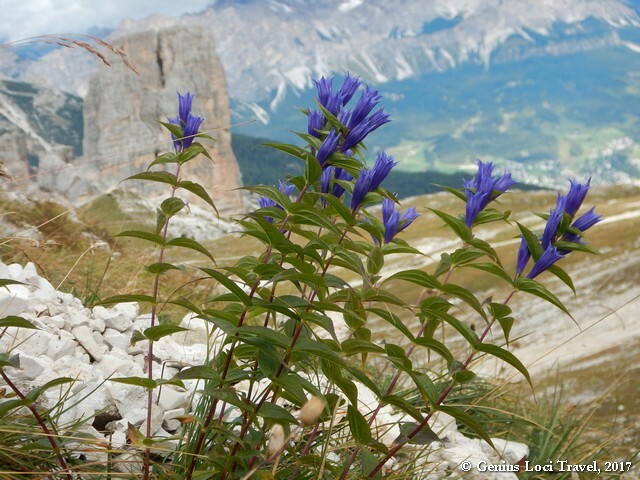 The majestic Dolomites are probably Europe’s most beautiful mountain chain. 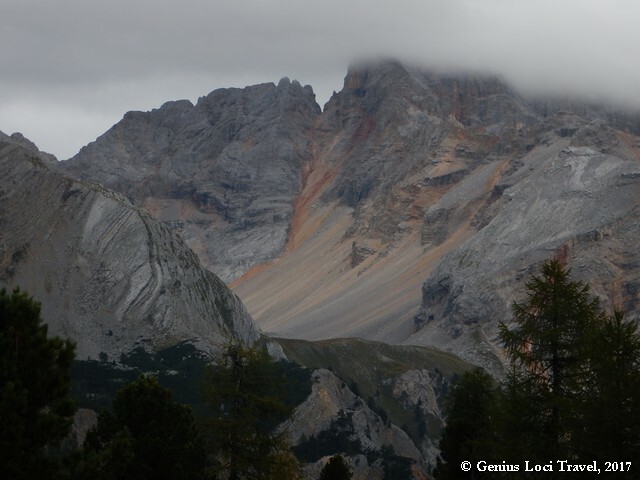 The Dolomite peaks are ancient coral reefs, consisting of thick layers of the mineral ‘Dolomite’, akin to limestone, gigantic, chiselled monuments to the powerful forces of the Earth. 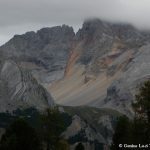 Although not exceptionally high (the highest peak is Marmolada at 3342m), they are amongst the most striking of all European mountains, coloured in weathered hues of rose, yellow and grey and rising in steep spires of fantastic form. Continuous sheer cliffs flank most of the peaks. Below lie bright green meadows alive with wild flowers all summer. In the lower valleys are orchards, vineyards and a chequer board of cultivated fields. The area is on the border between Latin and Germanic cultures, and the region was heavily fought over in the past, in World War I in particular. 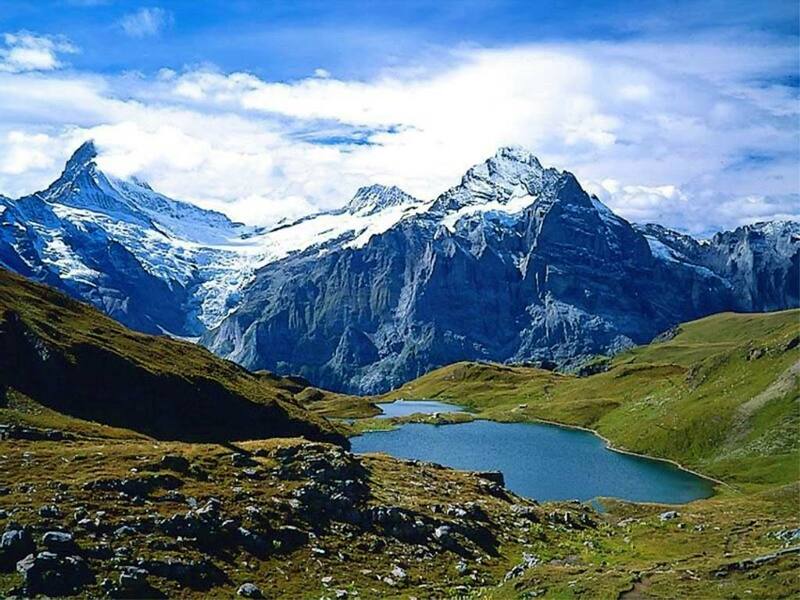 Nowadays, in more peaceful circumstances, you can enjoy a beautiful trek in this fairyland where lush meadows nestle against towering limestone peaks and charming little towns, with beautifully coloured houses, in the valleys. Still, the different cultures, the Italian and Austrian influences, and the local Ladino culture are noticeable, in the food, the language and the architecture. 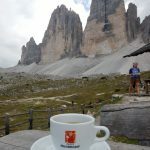 Small hotels and comfortable ‘rifugi’ (mountain huts) welcome grateful hikers with delectable cuisine, the ubiquitous grappa, strudel and steaming cappuccino. Drink in this dramatic limestone setting as you make your way through the different parts of this majestic mountain range. 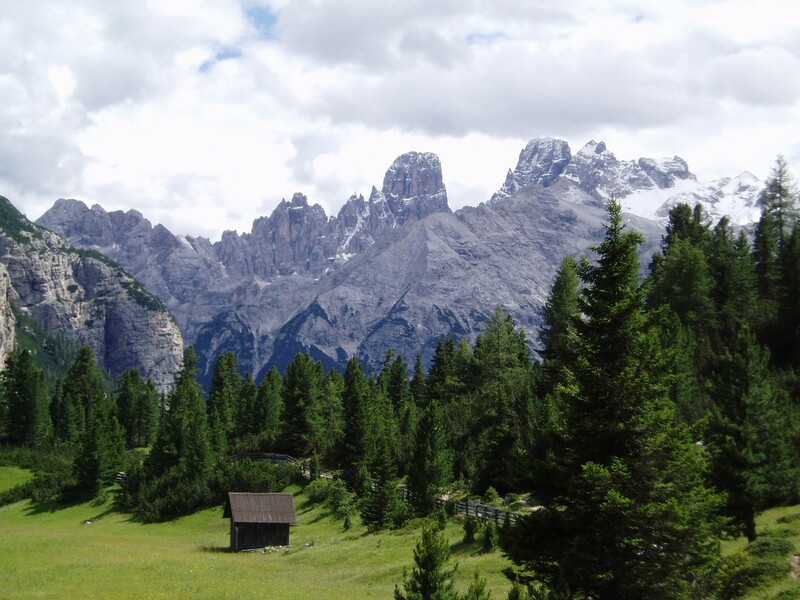 The first few days we spend in the charming Cortina d’Ampezzo. 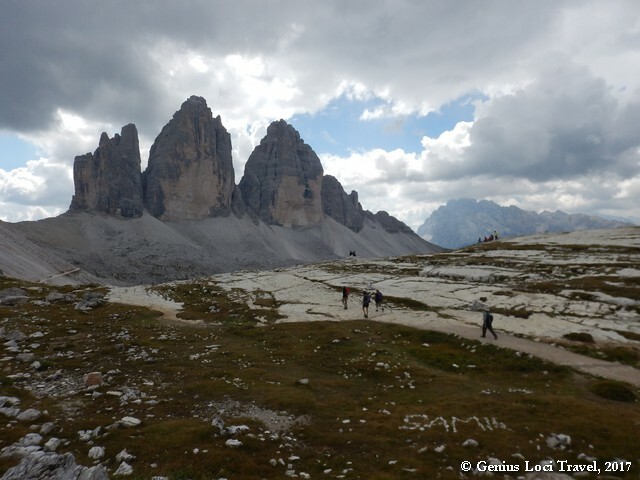 From here you walk to what may be the most famous peaks of the area, the beautiful Tre Cime di Lavaredo. At the end of the trip you descend to the Misurina lake and back to Cortina again. 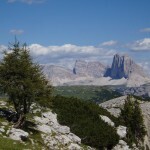 Another day you discover the Tofane, impressive mountains just West of Cortina. 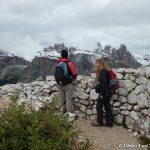 Then you travel into the Fanes-Senes range, to explore the different parts of these mountains, may be the prettiest part of the Dolomites. 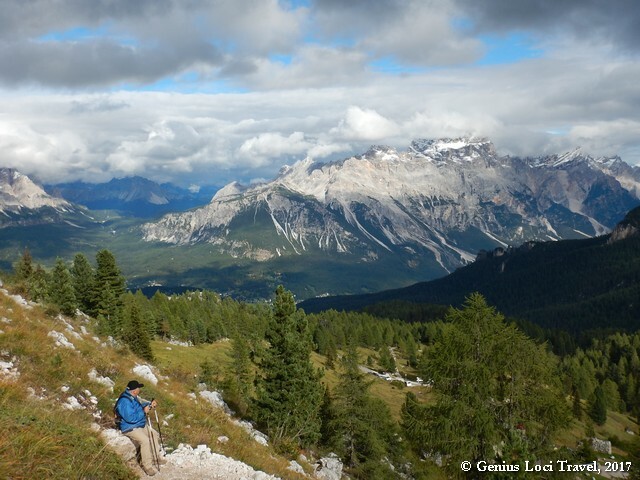 You hike along well-marked paths that lead into majestic mountain scenery. Stroll through alpine meadows carpeted with wildflowers, where by day you soak up the invigorating mountain air on our unforgettable ascent towards alpine bliss, and by night relax in the warm embrace of our alpine lodgings, savouring hearty gourmet cuisine. This overnight stay here in a well-equipped, comfortable mountain hut makes the mountain experience complete. 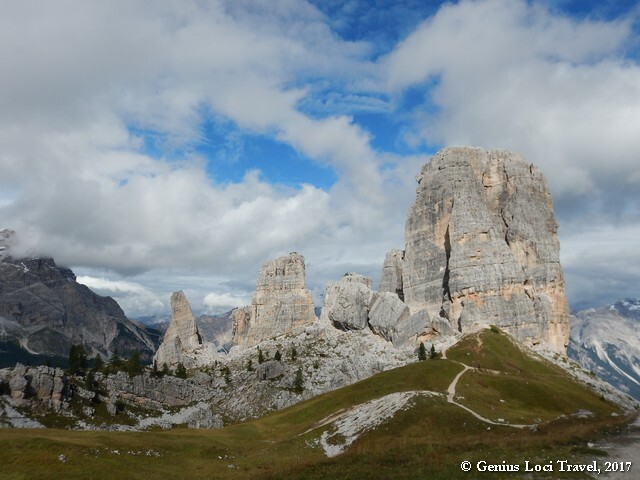 Then you descend into the Alta Badia valley, heartland of the Ladino culture. 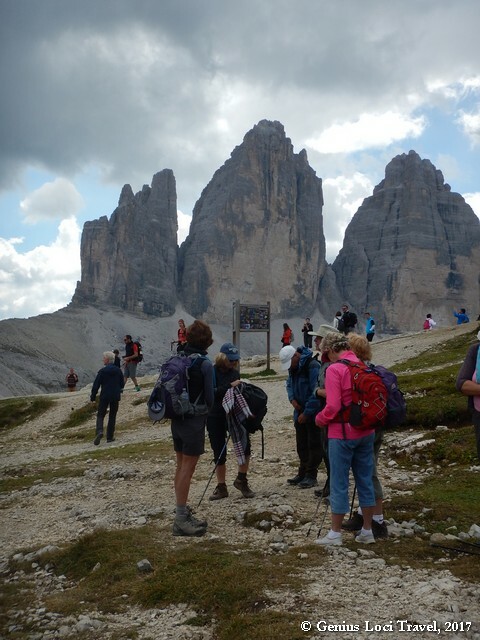 From your base in the Alta Badia valley you make walks onto the wonderful Puez range, certainly one of the most scenic parts of the Dolomite and travel around the Sella group, along the most famous passes of the Dolomites. Then you have a last memorable evening in your renowned mountain hotel, before travelling back by bus to Venice or Trento. 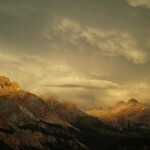 Arrival in Cortina d’Ampezzo, where you settle in your comfortable hotel. 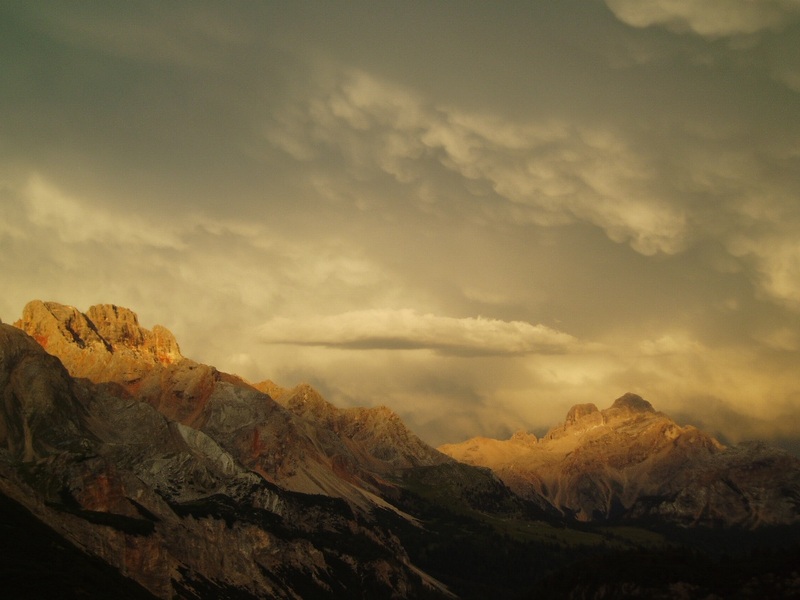 If you arrive early several options are open to discover the charm of the valley of Cortina d’Ampezzo, a famous resort for the Italian jetset. You could go ‘downtown’ for a drink, but also go for a first nice hike in the beautiful and relaxing surroundings! 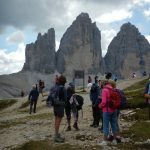 The first day walk is an easy one, but takes you directly to one of the most famous spots of the Dolomites: the Tre Cime di Lavaredo or Dreizinnen. A short drive by bus brings you along the Misurina Lake, up to the Auronzo hut. From here you can make a relatively easy, but very rewarding roundwalk. 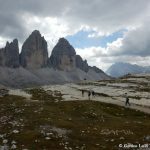 First you walk an almost level trail along the south side of the three mountain tops of Lavaredo towards the Rifugio Lavaredo, then you start to climb along a real mountain path to reach the Rifugio Locatelli (Drei Zinnen Hutte). 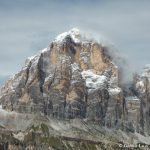 From here you enjoy an excellent view of the North faces of the Tre Cime (‘three tops’) of Lavaredo, one of the most famous postcard images of the Dolomites. 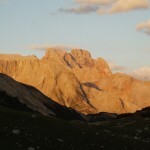 Along the northern side you return to the Rifugio Auronzo, from where you can take the bus back to Cortina. The real walkers can also opt to descend all the way down to the Misurina Lake and catch the bus there. In the evening there are several options to go for a nice dinner. Enjoy your hearty breakfast in the hotel to prepare for your hike up into the Fanes-Sénnes range. A short drive by bus (or private taxi) takes you to the Passa Falzarego, from where you take the incredibly scenic cable car up to the Rifugio Lagazuòi (2773m) which is awesomely sited, with world-class mountain views. The area here is full of memories of World War I, bitterly fought in this area, and many of the remains have been restored, to make up an impressive ‘open air museum’. An easy path brings you down to the shores of the lake of Lagazuòi. 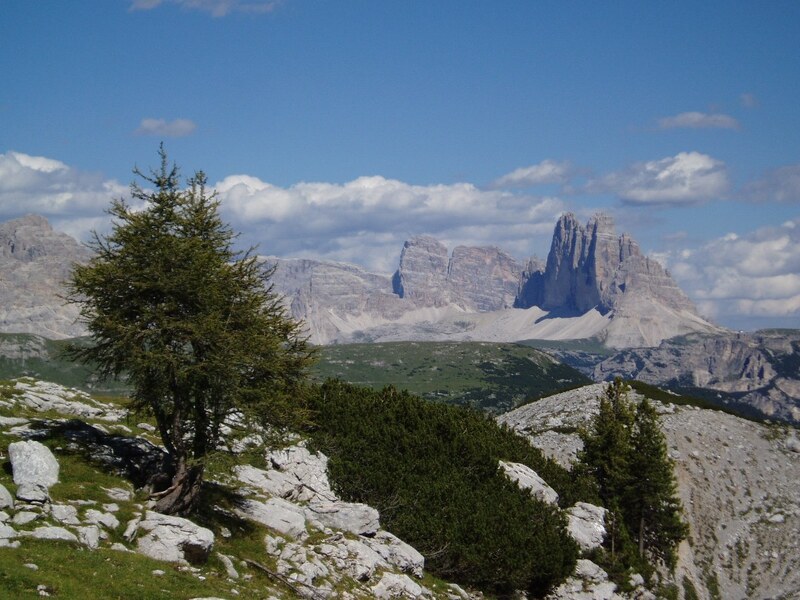 This part of your journey sees you enter the real world of the Dolomites with the presence of the great mountains – Cima Scotòni and the Cima Fànes Sud. 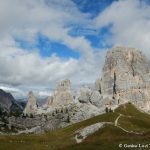 You now hike the ‘Alta Via’ of the Dolomites (also called the ‘High Route’ n.°1), a long-distance footpath that traverses the Dolomites, alongside some of the most impressive scenery of the area. 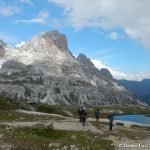 From the lake you can either opt to walk up to the impressive Lech pass – a very steep, but well-maintained path – or to walk around the tops, perhaps making a short stop at the Rifugio Scotoni. Then you continue along the ‘Alta Via’ in northern direction. At the end of the afternoon you reach the small lake of Limo. From here, it’s a very scenic descent into a quintessential Alpine setting – the splendid Fanes valley, with its two spectacular alpine lakes. The walk ends at the beautifully located – and luxurious – mountain hut of Fanes, where you’ll spend the night. Total walking time: around 5,5 hours. Today’s hike starts directly from the front door of your hut after a good breakfast. 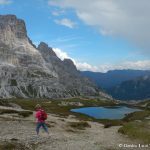 After a warm up hike through the valley along the small lakes, you reach the Lavaredo hut, from where you start the long climb up towards the Antonius Pass (2466 m.); a walk that offers spectacular views over the whole valley. The pass, underneath the towering Piz de Sant’Antoine (2655 m.), is the highest point of today’s journey. From here, it is a very scenic descent into the Spessa valley (or Wengental, as it is called in German). The first part of the descent is still bare rock, then you enter the beautiful pine forest, and finally you reach the ‘civilisation’: the first wooden huts, meadows with cows, and houses with flowered balconies. Just like the Alps have to be! 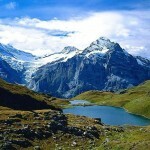 You descend all the way down the valley, through the charming small hamlets which make up the village of La Val/Wengen. Here we will stay for the next two nights. 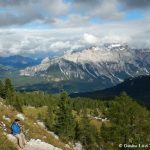 After breakfast this morning, you have a number of options: you can either opt for a relatively easy walk through the Badia valley (or Gadertal), a roundwalk with return over the ridge of Mt. Gropa, with fabulous views and a good chance to see wild deer. The other option for today is more challenging: the climb to the top of the Paresberg and the Kreuzspitze. Views over the whole Badia valley, the Puez chain in front of you are unforgettable. Of course you can also take the chance to recover a bit from the walking and relax in the nice surroundings and discover the charming hamlets belonging to the Wengen valley. Meals included: 1 breakfast, 1 dinner. Total walking time: around 5-8 hours (shorter options available). 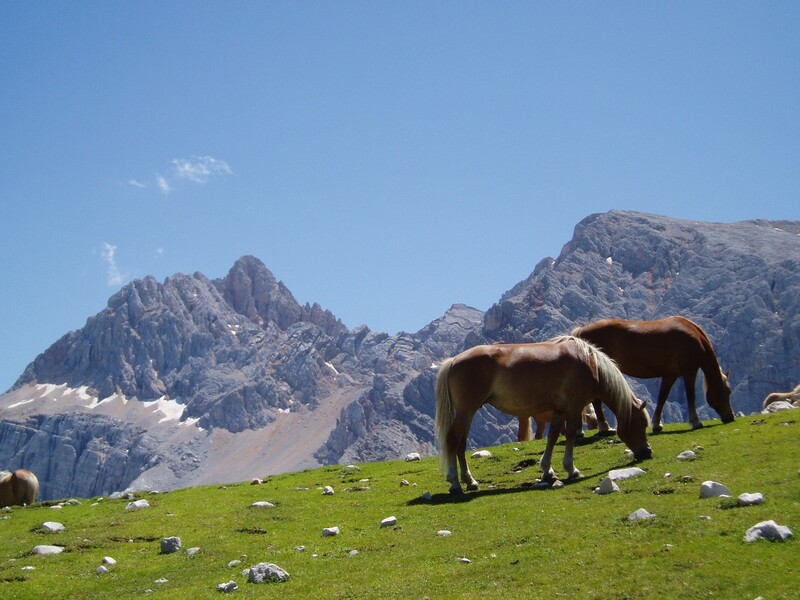 A nice day walk takes you into the southern part of the Badia valley today. 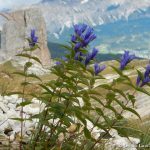 The first part of the walk takes you through beautiful Alpine meadows, with the silhouette of the towering Kreuzkofel above you. Halfway your walk you reach the Crusc (Holy Cross) mountain hut, where you have the chance to buy lunch. Then it’s an easy, almost level panoramic walk, high above the valley. Towards the end of the walk you descend to the small village of La Villa and along the river you walk to your beautiful hotel, where you can enjoy a nice sauna and a good meal. Total walking time: around 5 hours (shorter option: 3,5 hours). After breakfast this morning, we hike up (optional lift) onto the Puez Plateau. 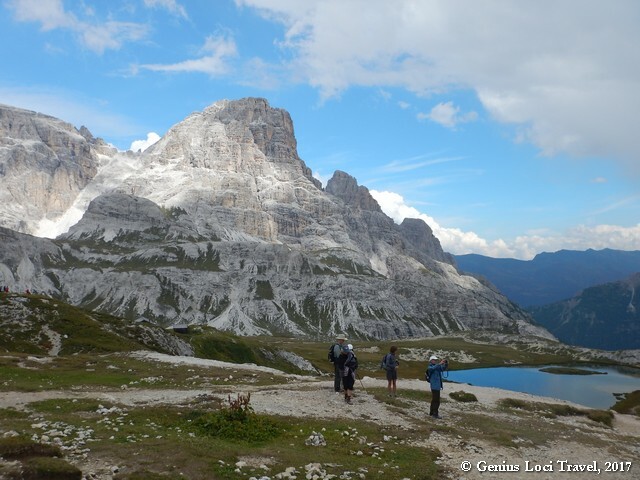 Here we make a beautiful roundwalk towards the ‘Rifugio’ (or Utia, in local dialect) of Puez. 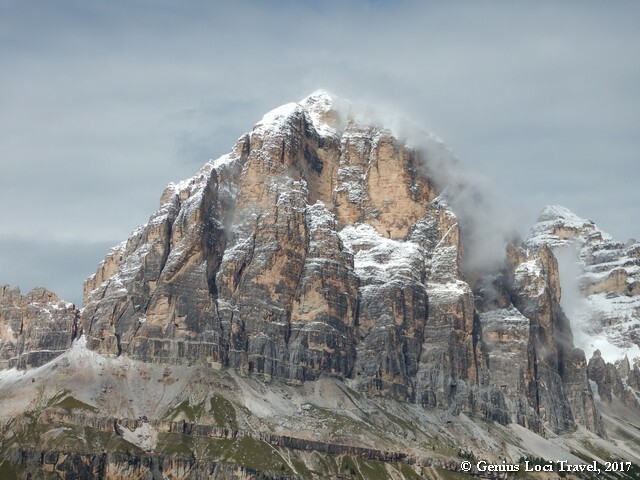 We pass along the impressive Ciampani mountain, following partly the ‘Alta Via delle Dolomiti’. Somewhere near the mountain hut we enjoy a picnic lunch in the mountains. 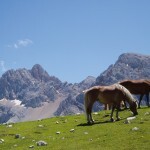 Then, along the edge of the Vallunga and the Col Dalla Sone we continue our walk on the high plain. You then reach the Gherdenacia pass, from where you’ll experience one of the world’s finest views here: the surrounding valleys disappear into the shadows, highlighting rock pinnacles which—still exposed to sunlight—take on an extraordinary palette of ever-changing colours. Then the long descent starts, first down to the Gherdenacia hut, and all the way down to your hotel in LaVilla. After the challenging walks of the last two days you have to possibility to recover. 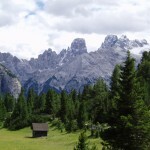 After a leisurely breakfast you can take the public bus which goes all around the Sella range, the range which can be considered the heart of the Dolomites. 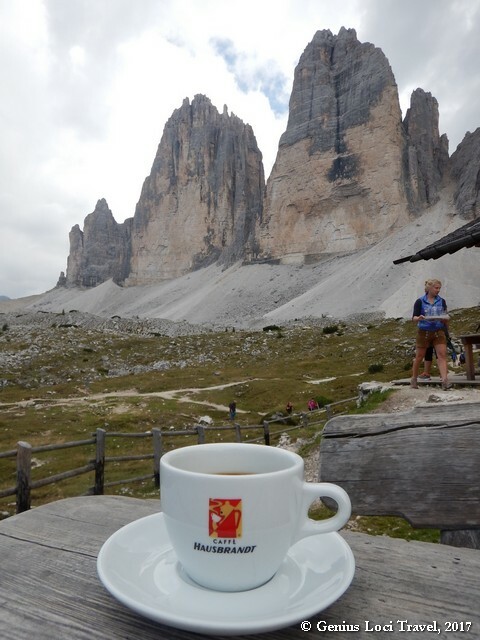 The round trip takes you over the most famous passes of the Dolomites, like the Sella pass, the Gardena and the Passo Pordoi, known from many stages of the Giro d’Italia. Several options for shorter or longer walks en-route are open. 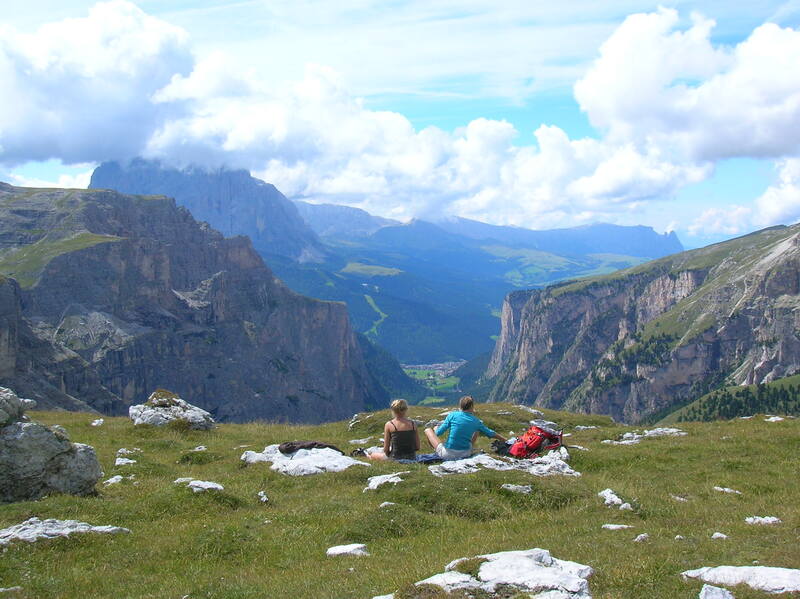 You can hop on and hop off the bus where you like to discover the beauty of this part of the Dolomites. Those who want can also travel by cable car to the top of the Pordoi, to enjoy one of the most extraordinary views on the whole area of the Dolomites. This morning after breakfast, the tour ends. There are frequent buses back to Trento and to Venice. Private transfers can be arranged at any time. Meals included: 1 breakfast. Accommodation is on a bed and breakfast basis in very good 3-star hotels and a comfortable mountain hut (comparable to a 2/3-star hotel). All rooms have en-suite facilities. You will have a few dinners included, on other evenings you will be free to organise your dinner from the wide choice of restaurants in the area. No picnic lunches are included in the tour price (except for day 5), but these can be prepared for you or materials for picnics can be purchased in the villages where you stay. ON INDIVIDUAL SELF-GUIDED WALKING TOURS WE PROVIDE YOU WITH : Extensive route notes, maps at 1:25,000 scale. LEVEL OF DIFFICULTY : Moderate (to Easy). An extra night van be booked in all hotels ‘en route’. An optional extension can be booked to the charming small town of Trento, with its wonderfully decorated houses and impressive castle, from where you can discover the Brenta Dolomites, a minor, but not less interesting chain, as well as the Monte Bondone, which offers great views over the Adige-Valley (see below). EXTENSION 1: It is possible to extend the tour with a few days in Trento, ‘capital’ of the region and a very lively and interesting city. 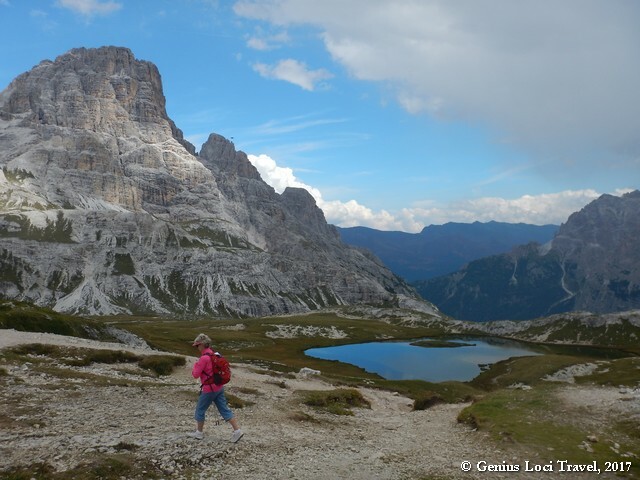 From here walks can be made onto the plateau of Monte Bondone and in the Brenta Dolomites, a less known, but equally beautiful range (see below). 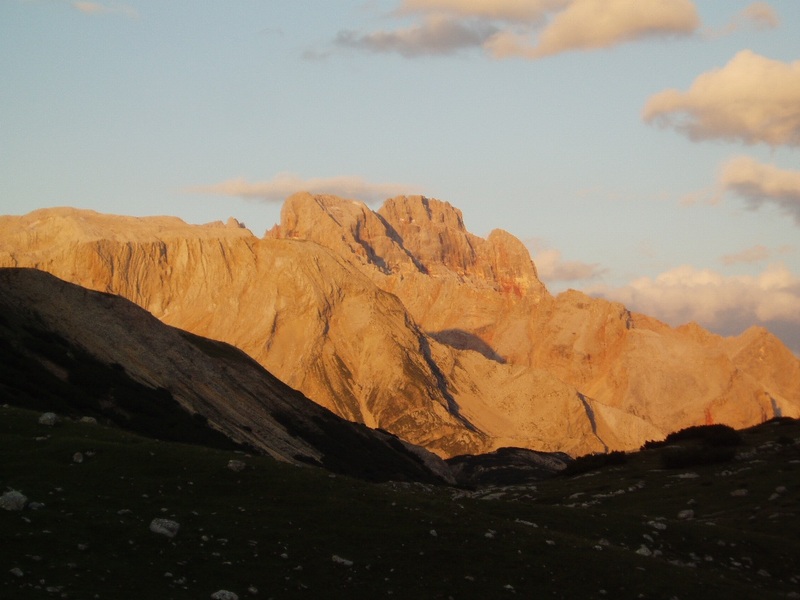 EXTENSION 2: It is possible to extend the tour with few days in Val di Fassa, from where the Marmolada and the Rosengarten (“Rose Garden”) ranges can be discovered. 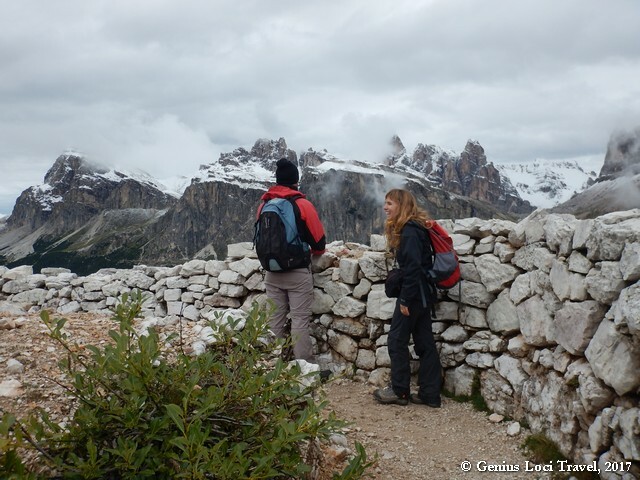 EXTENSION 3: It is possible to extend the tour with a return walk back to Cortina, from where it’s easier to return to Venice. We can book an upgraded (4- or 5-star) hotel in most places – where available.